Wait, wait, let me back up a minute so you can withdraw that 10 foot pole. All right, let me explain. 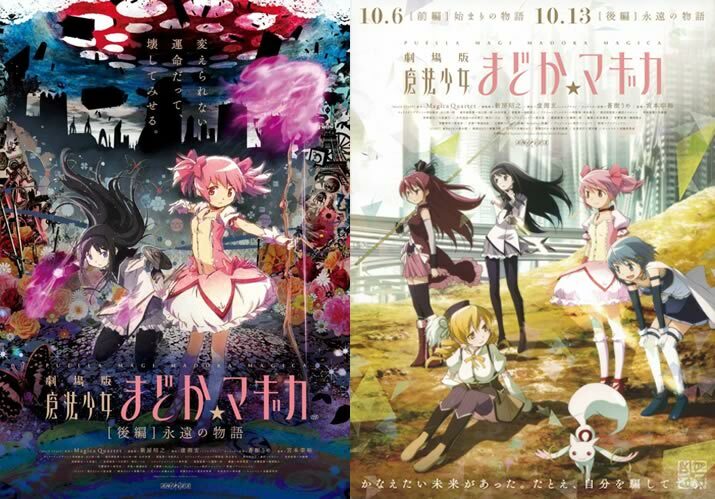 My colleagues have already expressed their views on Madoka (see here and here). I more or less agree with them, except from my angle, what I think really fails is the lack of true excitement from it, on top of a failure to work my emotions. I honest don’t think the characters interest me that much; I like the concepts enough and it certainly is pretty new in the magical girl genre. Of course, I never finished Nanoha S2 or Nanoha Strike or whatever. So, I feel that it’s new to show the true nature of a magical girl contract. I dunno, though. I remember that even Sailor Moon hinted and touched upon territories where her friends were harmed because she was involved in the magical girl thing. 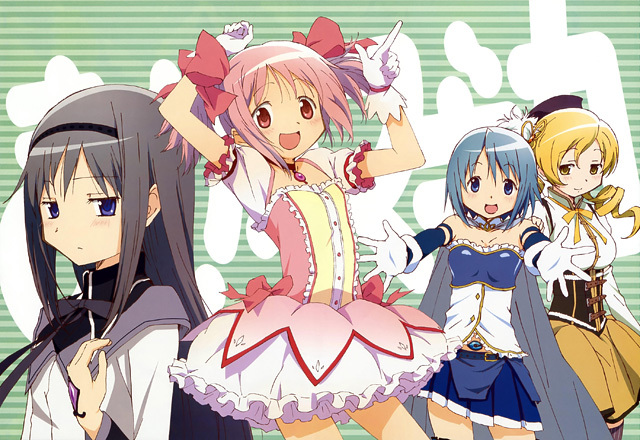 So, I don’t really find the concept in Madoka that refreshing. 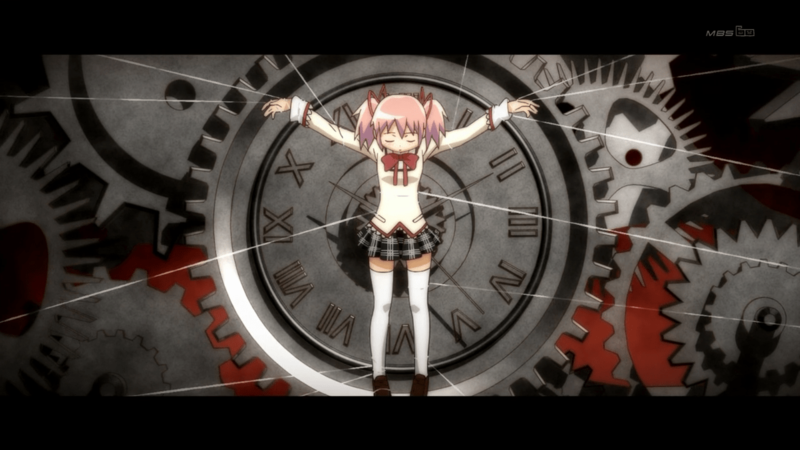 It is true that very few anime talks about what essentially the contract in Madoka is, a contract with the devil. I watched episodes 3 and 4, and the only reason I was feeling anything was because of the soundtrack. 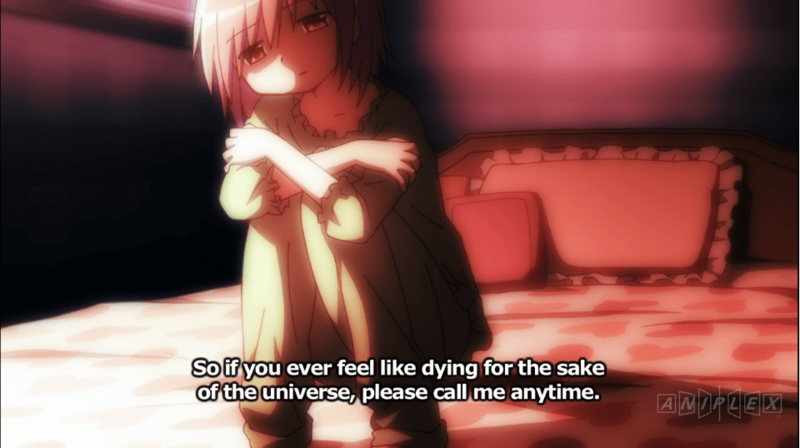 You have to understand, I’ve seen so many sacrifices, deaths of friends and other things IN ANIME (thank God not in real life) that a show really has to do its characters right in order to grab me when a character dies. 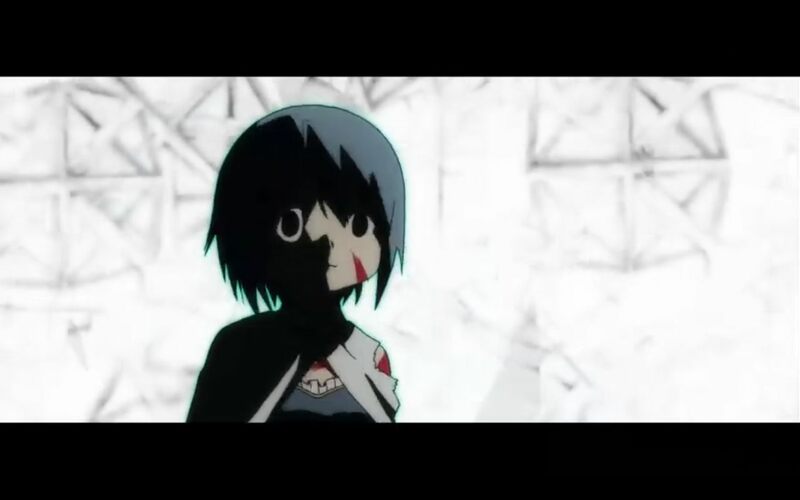 Madoka lacks that. 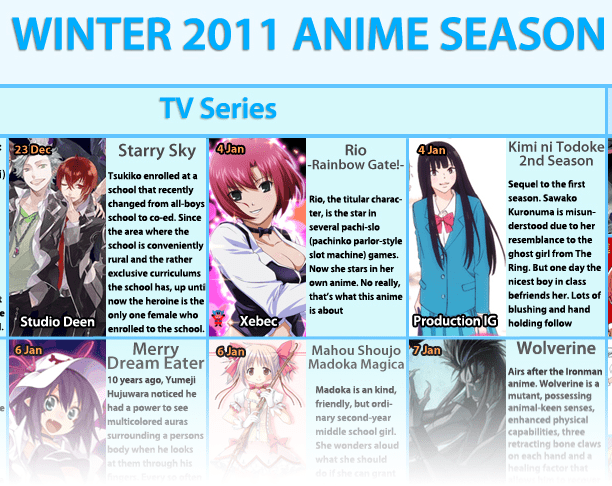 I’ve been lamenting that the problem with shows with less than 26 episodes is the lack of development for characters. 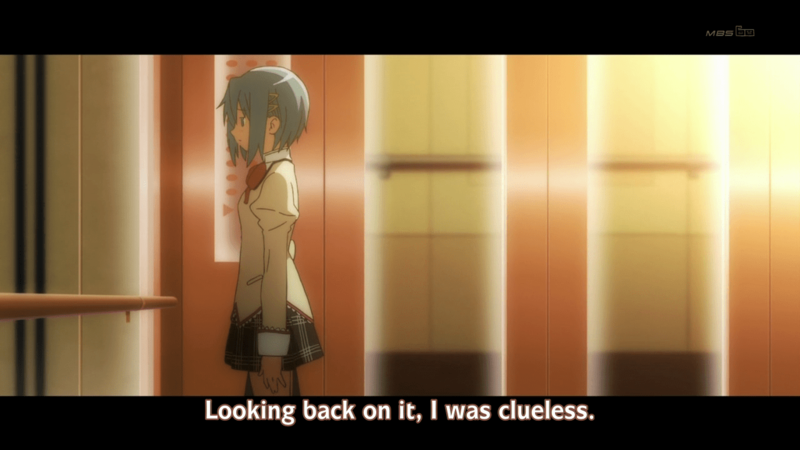 In today’s anime world, the lack of budget and our attention span makes 26-episode-shows nearly impossible (though a lot of that is also because the waste of budget on unnecessary fan service episodes). What’s even worse is that a lot of 13 (or sometimes, 11) episode shows waste episodes on fillers that really don’t develop characters. 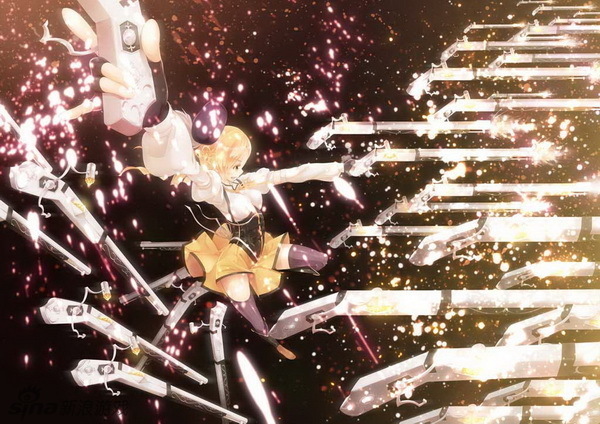 What I’m saying is that Mami or what’s her name dies too early. What doesn’t help is the monster that kills her. Surrealism is one thing, ridiculous looking monsters that makes me laugh is another. Before you accuse me to being insensitive, let me refer you to shows like Gunslinger Girl, or some episodes in Gundam Seed and Gundam 00, oh and Mike’s favorite show, in which there’s an episode where Shinji is forced to crush possibly the only person who really said “love” to him. For that episode, the fujoshis in Japan cried rivers for it not just for BL. 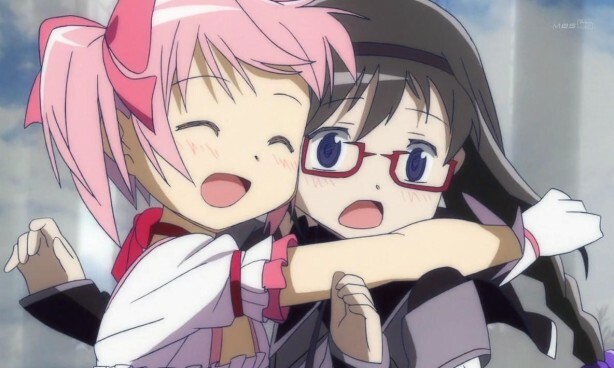 I know Madoka is not the same thing as Gunslinger Girl, but the ability to really create crushing sadness can be done in either genre. I just wanted more. It’s not a show that really stands out, even with its concepts about a nightmare trying to defeat other nightmares and sending them back to dreamland. 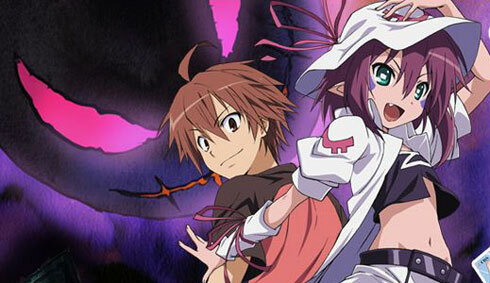 At its core, it’s really a shonen show with a hero and heroine fighting and fighting some more. Of course, she finds out something that challenges their belief (in the most recentl episode). I’m not a good guesser and when other people see something coming a mile away, I often miss it. I think some people already guessed the outcome of episode 5. That said, my problem with the show is more about it’s presentation. It tries to be surreal with an interesting concept at its core, but it ends up being more normal than usual. People get possessed and they go out to save them. There is one thing I really liked about episode 5. It’s when Merry answers the question about how long she has stayed in the human world. She gives an interesting answer and it does create a good impact on the audience. Other than that, nothing much about the show strikes me. It’s a little slow. I’ll say this, though, because it is lower profile, my expectation for it isn’t as high. My bottomline for these shows is this: I’ve never been a fan nor a hater of Shinbo’s work, so having Shinboism go surreal won’t make me squeal in joy. As for Merry, it needs something added to it.